New to market HR39 MKII. Rare find as it will very possibly be the only original owner blue water vessel that spent vast majority of it's life in freshwater doing only seasonal duty. Vessel was built to order and delivered from factory in Ellos, Sweden via freighter to truck and offloaded and originally commissioned in Lake City, Minnesota on the Mississippi River where she spent her first 14 years. Boat would be launched in mid to late April and would come out of water for winters in late September. Owner had this vessel trucked to Fort Myers in 2014 where she has been berthed (always under full length canvas cover) in brackish water on the Caloosahatchee River at Gulf Harbour Yacht and Country Club. Lightly used yet very well loved boat that is ready to go on any adventure you ask of it. Highly upgraded Garmin electronics package including two 7212's, autopilot, xm weather, three multi function displays for wind instruments. Only 303 original hours on this boats Volvo engine! 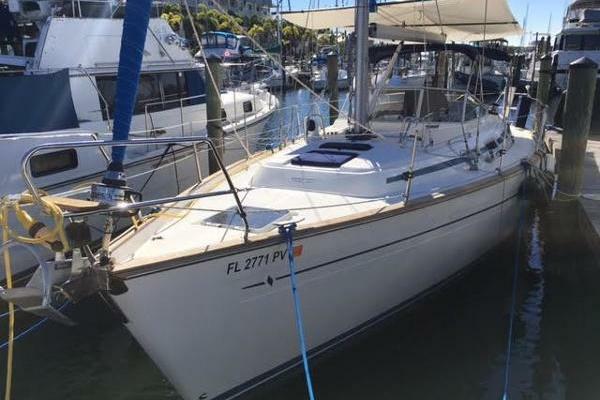 United Yacht Sales New Jersey would love to guide you through a personal showing of this 39' Hallberg-rassy 39 1999. 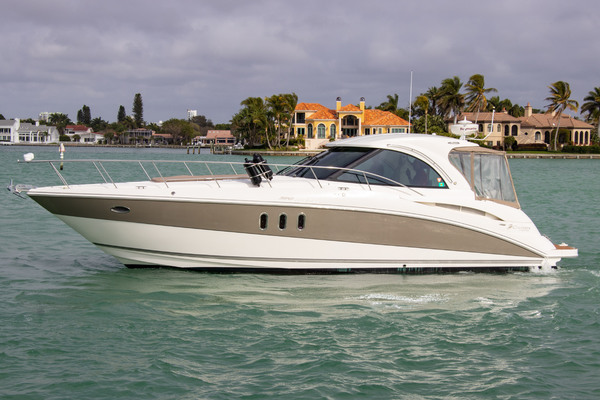 This yacht for sale is located in Fort Myers, Florida and priced at $239,900. For a showing please contact us by filling out the form on this page and we will get back to you shortly! General Statement:Known far and wide for our sturdy construction, superb craftsmanship and signature seaworthiness, these easy to handle Germán Frers designed models are globally respected for their elegant lines and spirited performance.Factory write up on the 39 MKII(All below info is taken word for word from the companies website).CONCEPT:This is a yacht with two very generous double cabins and a vast toilet compartment. You often hear that every boat is 1 m too short. This does not apply to the Hallberg-Rassy 39. There are not too many berths, but the interior is fabulously roomy and allows for excellent elbow space for her crew. Someone said that the HR 39 is the world's most perfect 36-footer. That says a lot about the concept of the Hallberg-Rassy 39.COMFORTABLE INTERIOR:The layout offers much storage and provides excellent comfort. The interior allows for some special solutions. The galley is seagoing and does not interfere with the natural flow through the boat. Storage throughout the boat is generous.QUOTES FROM YACHTING MAGAZINES:Cruising World magazine, USA, November 1995 issue about the Hallberg-Rassy 39:"...this yacht has the proper makings of an offshore cruising yacht. Below, the mahogany interior is flawlessly joined and meticulously finished, a hallmark of Hallberg-Rassy yachts...Not readily visible are the telltale signs of Hallberg-Rassy's above-average engineering and building methods, lurking unseen behind the fine joinery below. The builder's reputation for excellence translates into good resale value....My experience with Hallberg-Rassy has convinced me that sailboats can make beautiful, safe homes. If comfortable passages, solid construction, elegance and attention to detail make sense, then so does the Hallberg-Rassy 39." 2 Garmin 7212 touchscreen displays. One at nav station and one at the helm.